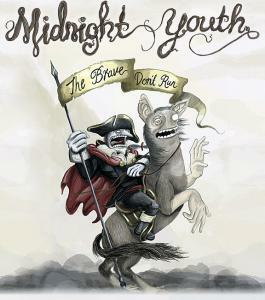 19 JUNE 2009 - In a short 8 weeks since release, Midnight Youth are pleased that their debut album 'The Brave Don't Run' has officially been certified gold with 7,500 sales since release on 27 April. The stunning video shot in New York will premiere tonight (Friday 19 June) on Nightline (TV3, 10.35pm) and can be seen at all music TV and online next week. 'Learning to Fall' is a visually stunning piece directed by Guy Quinlan in New York in March 2009, it perfectly captures the theme of leaving things behind and moving forward into the unknown.